I grew up with a fad dieting, weight yoyo-ing, self loathing mum (and believe me these were the least of her issues). You can easily imagine how quick and simple it was for me to develop issues with food and self image faced with a Mum who Hated everything about her body! Since becoming a mum I've become more vocal on my opinions on body image and female sexualisation than I ever imagined. I do not wish my children (girls or the boy!) to feel inferior about anything least of all judge themselves lacking because of appearances. As such I've made very clear choices not to express any dissatisfaction at my body or image to them, this in turn has had quite a positive effect on me, I have more confidence in myself than ever in my life, yeah sure a body like Cindy Crawford wouldn't be so bad but it won't make me a better mum, wife or friend! Nope those qualities are all me and having a not washboard perfect tummy doesn't affect those things at all.Not wanting my kids worrying about weight and numbers is also the reason I've opted out of the governments weighing and measuring of school children but that's a post all on its own. 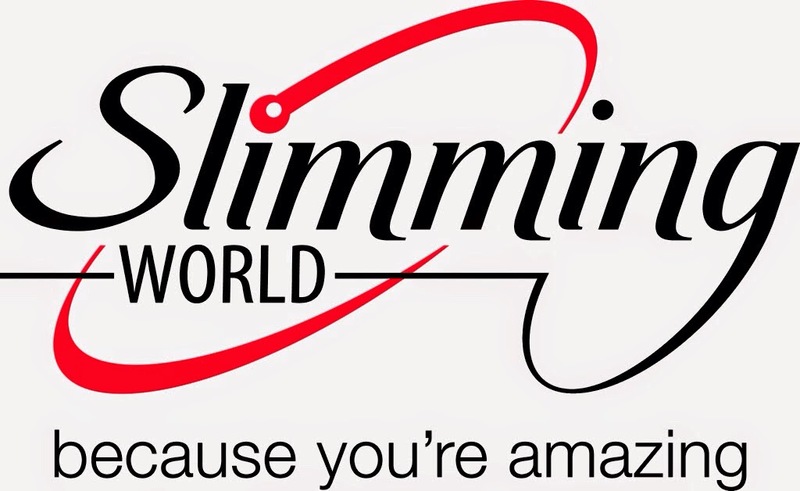 So for me Slimming World is a good choice for weight loss, my kids never hear the word diet because we still all eat the same things, we still eat together and we still eat A LOT! Now this bit may be a ramble, my favourite sanity saving quote when going anywhere with children is 'it's not about the destination it's about the journey' but it's dawned on me this week after quite a lengthy weight loss convo with a good friend that with weight loss it is about the destination not the journey! Members in my class have lost amazing amounts in short times, 9lb in 2 weeks, A stone in 3 weeks and they are rightly and deservedly chuffed to bits, the aforementioned mummy friend with whom I was chatting is perfectly happy having lost 8.5lb in 2 months because this includes Christmas and New Year! Me I'm almost 99% happy with my Stone in 6 weeks. You see some slimmers take the coastal route meandering along the rocky paths stopping to take in some sea air, some floor it and head straight down the M1 but when we get to Target Towers (I just made that up, slimming world don't have an actual tower full of target members!) we all have the same feeling of achievement the same cheesy smile and the same plan to throw our bank cards at the nearest department store for THAT outfit . That for me is the brilliance of Slimming World there's no pressure no criticism just celebration and support and did you know On average, members lose around 8% body weight in six months and around 13% by 12 months whilst attending group! I've had no such issues with Slimming World because the food is everyday food it's just small changes that lead to big results, I still have curry kebab and pizza, I especially still have chocolate. There's very little weighing and measuring nothing is forbidden and the food is good and healthy. 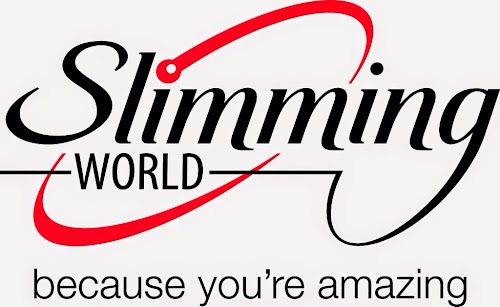 My final thoughts on Slimming World this time around? I love the community feel to classes, I have a joke and a laugh with the money ladies and the weigh-in lady. Our consultant is down to earth and funny and class conversation is kind spirited and helpful. Yeah with a bigger class sometimes that round of applause for everyone can seem to take a while but whoever is last still deserves the celebrations that the first member got. And that round of applause and bit chat (it's Called Image Therapy by the way) that's dead important! I promise it is. To me it means accountability and feeds my human need to succeed and get recognition, now don't roll your eyes we're all the same! Image therapy is proven to work so if class is running over a bit try to remember someone is waiting for their mini parade. What of the cost? Well it's £4.95 a week so less than a pound a day, and in my opinion it's worth every penny. I know I don't stick to plan so well if I'm going it alone and then I'm back to ignoring the strain in my waistband and the need for those baggy tops! I know I could be accused of being made biased by the euphoria of losing a stone and still eating chocolate almost every day and well I guess that's true I am biased! I'm happy and I eat everything I fancy I've not suffered and my whole family enjoy the food I make. But if you put 9 bags of sugar in your waistband you'd soon see how much 81/2lb really is. Keep on keeping on lovely we may be going the coastal route but we will get there!